Whether you are an aspiring property investor considering taking the plunge or a full time investor wanting to brush up your knowledge, this article can give you some key property investing market fundamentals to consider. Real estate is a cyclical investment. History shows that the property market in Australia movesthrough a cyclical pattern. As the market passes through the typical ‘boom and bust’ scenarios, outstanding investment opportunities are presented to astute and patient investors who have the tools and strategies in place to take advantage of the market conditions. Conversely, some investors who choose not take a longer term view, may panic during times of financial volatility and uncertainty characterised by economic downturns. market can easily be talked down on rumour and negative media reporting rather than reacting to factual data. Property investors must appreciate the Australian market is made up of countless micro-markets, each of which responds differently to the various economic factors. During a downturn there will always be property investment opportunities which buck the trend and can be a worthy addition to your portfolio – if you can find, research and analyse them using accurate, timely data before the rest of the market. 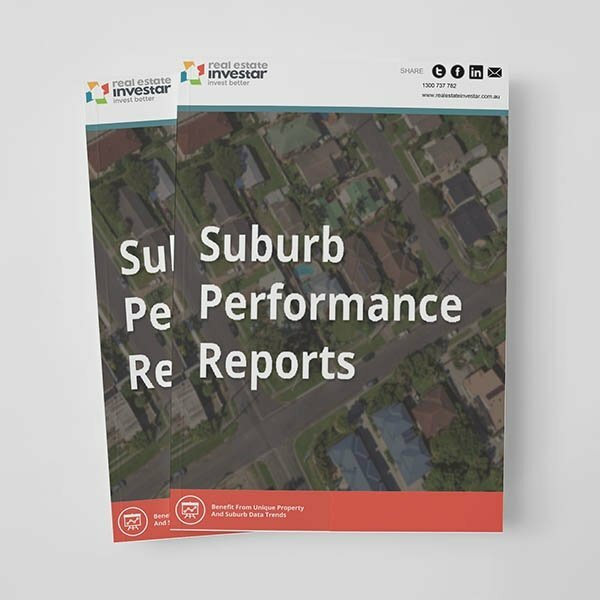 A good way to target suburbs that contain affordable investment properties or properties with the highest yields is with the Real Estate Investar pack of Top 50 Suburb Performance Reports. As the market turns upwards, confidence returns, building approvals rise and the situation can change quickly. 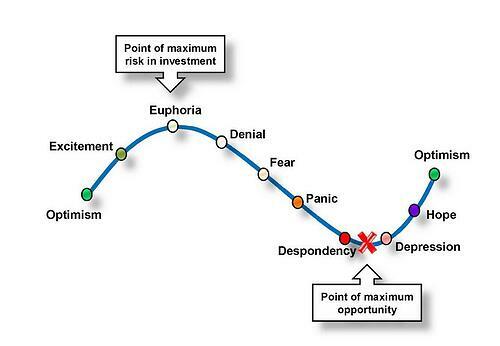 If an investor is courageous and clever enough to dive into the market towards the latter stages of a market downturn or bust, there are very good prospects for substantial future capital gains providing the economic prospects are also positive in the medium and long-term. The health of the economy has a direct impact on real estate activity levels. 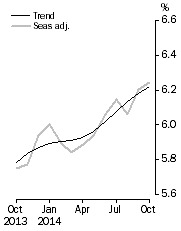 The fallout from a struggling economy in one location is reflected in rising unemployment, shown in the graph opposite. This can generate a population exodus to areas of better employment prospects and reduce demand for real estate in the area where the economy is failing. As confidence returns and the economy picks up, this population movement can be reversed and housing demand increases. Wage levels can also have a bearing on house prices and dwelling activity. When household income rises, there is a prospect of the higher wage levels resulting in more demand for real estate. People may upgrade to bigger houses and better suburbs and ultimately higher house prices can result. There are, however, usually many other factors at work at the same time. and higher numbers of home loan approvals. With growth in loan approvals comes higher turnover of housing stock, and potential for upward movement in house prices. 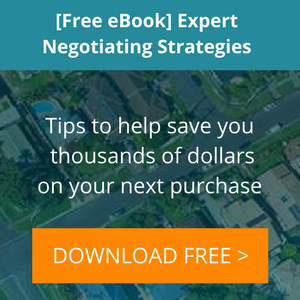 Ultimately, price levels represent home-buyers and investor’s capacities to meet the market from an affordability and debt servicing viewpoint. If credit is easily available and interest rates are low, the market flourishes and prices tend to move higher with the increased activity and demand. Interest rates represent your income as a depositor or your cost of funds as a borrower. The level of interest rates will dictate to some extent the capacity and enthusiasm of investors to purchase real estate. Periods of high interest rates can occur at the end of a long sustained period ofeconomic growth and the subsequent inflationary pressure on the economy. The RBA (Reserve Bank of Australia) will increase the OCR (Official Cash Rate) steadily with the aim of slowing the property market activity. The increased borrowing costs eventually result in reduced buyer demand and sales activity in the property market followed by lower numbers of building approvals and downward pressure on property prices. are comparatively low, it is the Reserve Bank’s intention that housing affordability improves, buyer and investor demand will pick up, and the market receives fresh demand and upward pressure on prices. While the Reserve Bank sets the prevailing official cash rate, interest rates for home finance are also influenced by market forces, both local and international, and as a consequence banks will require smaller or larger lending margins depending on market risk factors, creating additional volatility in interest rate levels. The demand for credit and the level of funds available for lending will have an impact on rates. market and hold back growth longer, pushing up rents and rental yields in the short term. margins will tend to fall. High inflation tends to lead to rising interest rates. If the rate of annual inflation starts to climb above Reserve Bank targets, the Bank will typically dampen down demand by raising the cash rate, and by default, home loan interest rates will increase. When the economy starts to slow, rates can be reduced to stimulate growth activity. With a more deregulated and global financial system, our interest rates can also be affected by overseas rates - if local deposit rates are noncompetitive, funds can move to more attractive deposit options in other countries. If Australian rates are comparatively lower, overseas cash will not find its way into our markets. Currency fluctuations will have an effect on interest rates too. As the value of the Australian dollarfalls, the Reserve Bank can act to reduce money supply which has the effect of increasing rates asavailable loan funds dry up. The theory is that higher rates will attract investment from offshore and support the currency. It’sa delicate balancing act - if rates are set too high and consumers start saving and stop spending, arecession can follow.